Viv and Lucy want to visit Tijuana, so they persuade Harry to drive them there, at 12 cents a mile. Harry is talked into buying two dolls for the price of one if he'll deliver a third one to the owner's niece in Los Angeles. They get into a bit of trouble at the border with customs, and end up being detained because the doll contains contraband and it looks like they are trying to smuggle diamonds inside Harry's toy. Lucy and Viv disavow any knowledge of him to teach him a lesson. 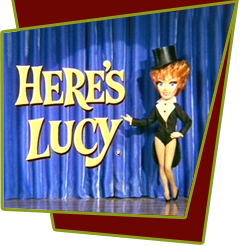 Special Notes: Much of the scenery and props used for this episode came from The Lucy-Desi Comedy Hour set for "Lucy Goes to Mexico".